My wife, Ellie, was driving us along the coast of Maine. She suddenly stopped and asked (actually ordered) me to take photos of this shut-down restaurant. 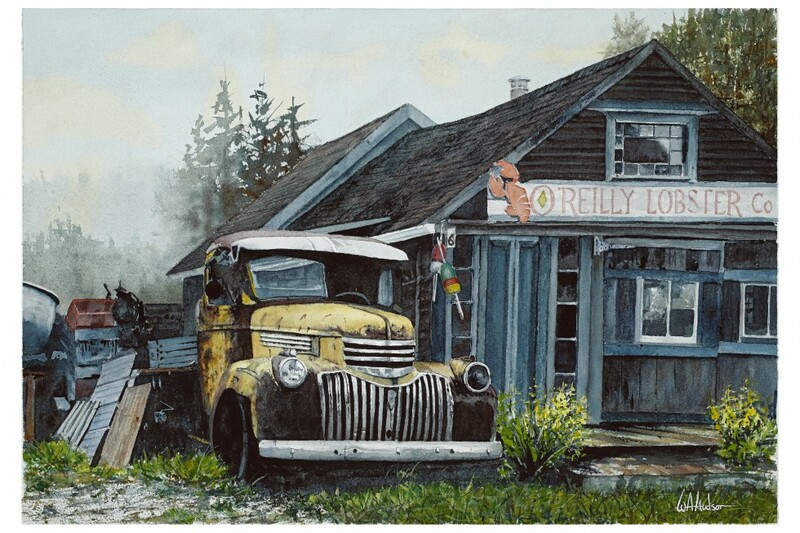 I enjoyed painting it since it has several of my favorite elements including old trucks, buoys, and wooden buildings.